Uncategorized | The Grady Firm, P.C. The United States Citizenship and Immigration Service (USCIS) announced that an updated Form I-9 has been approved. While the current form had a revision date of 03/08/2013 N and expired in March this year, is is acceptable for continued use until January 17, 2017. On August 25, 2016, the Office of Management and Budget (OMB) approved a revised Form I-9, Employment Eligibility Verification. USCIS must publish a revised form by November 22, 2016. After January 21, 2017, all previous versions of Form I-9 will be invalid. Make sure you are always using the most current, acceptable version of the Form I-9, and ensure that the I-9 is completed by all new employees within three days of hire. For more information on self-audits and other Form I-9 issues, see the “Handbook for Employers” https://www.uscis.gov/sites/default/files/files/form/m-274.pdf issued by USCIS. Find the latest version of the I-9 form here. The Grady Firm, P.C. attorneys specialize in helping businesses grow and succeed through employment, business, and immigration law advising for clients in California. They help perform personnel audits, train employers on employment law compliance, provide on-demand legal analysis for hiring and firing questions, and provide leadership and sexual harassment training in English and Spanish. 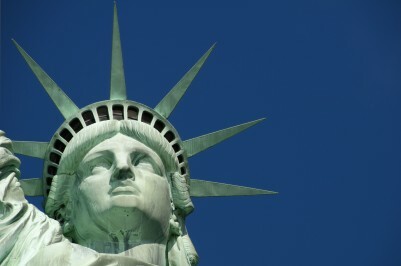 The EB-5 Program, as it presently stands, grants permanent residence to foreign investors if they invest $500,000 (in high unemployment areas) or $1 million (in low unemployment areas) in a new business that employs at least 10 U.S. citizens or Lawful Permanent Residents on a full-time basis. Since its inception in 1990, many believe the program minimum amounts of investment is due for an increase, and there has been speculation that the minimum amounts will increase, from $500,000 to $800,000 and from $1 million to $1.2 million, respectively. How Will the 2016 Presidential Election Affect Immigration Reform? After a successful and productive engagement with Vancouver Start Up Week in September, California-based business and immigration attorney, Jennifer Grady Esq., is returning to Vancouver in January 2016. During her visit, Jennifer will be attending the BC Tech Summit, and will will also be meeting with entrepreneurs, innovators, investors, and people interested in expanding their business into the United States. On Wednesday, January 20, Jennifer will be hosting a “meet and greet” happy hour and informative seminar on the legal and business issues that Canadian entrepreneurs must consider when doing business in the United States. On January 20th and 21st, she will be offering one-on-one meetings with individuals and companies that would like to learn more about the issues that face their particular industries and backgrounds when expanding abroad. Please join Jennifer and fellow entrepreneurs on January 20 for a an evening of wine, socializing, and information! Limited seating available; RSVP here (email afogerty@gradyfirm.com) by January 15. To reserve an appointment, call (323) 450-9010, or fill out a Contact Request Form. Read more about Jennifer and the firm on our website. The Internal Revenue Service issued the 2016 optional standard mileage rates used to calculate the deductible costs of operating an automobile for business, charitable, medical or moving purposes. The rates show a significant decrease from last year’s rates. For the entrepreneur beginning the process of establishing a Startup, one of the primary considerations is its location. It is crucial to evaluate the location, incentives available to the company, and the resources available when planning for the future success of the company. The State of California, Silicon Valley, and Los Angeles County have a variety of incentive programs available to both small and large businesses. While incentives should not be the only reason why one should consider a location, incentives may be one of many factors that could help lead to a final location decision. Incentive programs typically fall into two categories: legislated and discretionary. State and federal legislated incentives are “on the books” and available to any business that meets stated criteria. Discretionary incentives are customized and provided by certain cities and only for specific projects on a case-by-case basis. In almost every case, discretionary incentives come into play when a community is trying to attract a large business operation that brings significant investment into that community and will have a substantial impact on jobs created. The Los Angeles County 2015/2016 Business Incentives and Resources Guide describes the federal, state and local business incentives; employee training; business assistance; financial assistance; and additional “green” resources that can help you locate to L.A. County and/or grow your business here. Read below for a sampling of the state level and local tax incentives for 2016. To learn more about the pros and cons of moving your Startup to Silicon Valley, read this article. Changes to CA Minimum Wage Will Impact Employers’ Budgets for 2016- Are You Prepared? One of the most notorious ways for foreign professionals to obtain a visa and even a Green Card in the US is through an H-1B visa, which requires sponsorship by the professional’s employer, and can be granted for three years with one additional three year renewal. The H-1B allows U.S. employers to temporarily employ foreign workers in specialty occupations, and requires a bachelor’s degree or its equivalent. In continuing the increase the minimum wage at a steady pace, California will increase the minimum wage again to $10.00 per hour on January 1, 2016. However, certain cities and counties will have higher minimum wages. For example, As of July 1, 2016, the minimum wage in the City of Los Angeles will increase to $10.50 per hour, with annual increases from up to $12 (2017), $13.25 (2018), $14.25 (2019) and $15 per hour by 2020. The minimum wage in San Francisco will increase to $13 per hour on July 1, 2o16, and will increase by a dollar per year thereafter. San Diego will hike its minimum wage to $11.50 by 2017, a measure it passed last August despite a veto from the city’s mayor. An industry-specific wage order, available for free. The E-2 treaty investor visa can be a great way for a foreign entrepreneur to open a business and live and work in the United States legally. What’s more, it is relatively affordable in that it only requires a “substantial” capital investment in a bona fide U.S. enterprise (usually in the amount of $100,000 to $250,000). The investor must be seeking to enter the United States solely to develop and direct the investment enterprise. This is established by showing at least 50% ownership of the enterprise or possession of operational control through a managerial position or other corporate device. The E-2 visa allows the status holder from a treaty country, and his or her family, to come to the United States to open and operate a personal business; the spouse and unmarried children under the age of 21 are able to attend school and work as dependents of the visa. Unfortunately, however, the E-2 treaty investor status does not offer a direct path to Permanent Residence. This means that unless the status holder, or the status holder’s immediate family, has a separate path to Permanent Residence, the visa holder and family will not be able to obtain Permanent Residence status, regardless of how long they maintain their E-2 status. This is further complicated by the fact that the E-2 status is temporary and must be regularly renewed with no guarantee of success. A report in the Hong Kong media led to the downfall of the world’s most popular investor-based visa program in Canada, leaving thousands of foreign investors out in the cold. According to an article published in Forbes magazine on February 13, 2014, the Canadian government announced the immediate cancellation of the popular investor visa program after the highly publicized report stated that “the country’s investor visa program had become an express lane for wealthy Chinese hoping to secure overseas residency”. The cancellation of the program meant that 65,000 pending applications, including 45,500 of which were submitted by individuals from Mainland China, were immediately eliminated. 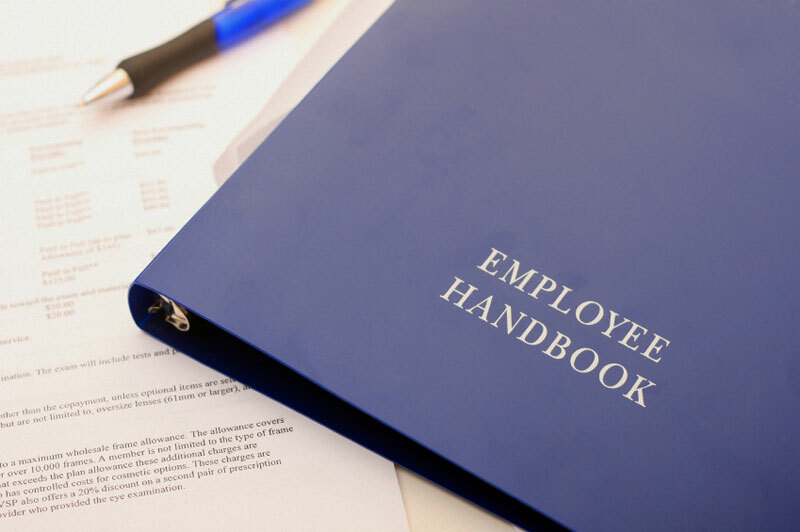 Why Does Your Company Need an Employee Handbook? Wage and hour disputes are on the rise in California, where the laws tend to favor the employee over the employer. One of the first things that plaintiff’s counsel will ask for in a lawsuit is a copy of the company’s Employee Handbook, so it is essential that a company have a tailored, up-to-date Handbook that outlines the company’s policies, along with the relevant California leave laws. Employee Handbooks should be updated annually, and the signature pages must be kept in the employee’s personnel files as evidence that the employee reviewed the document. The Grady Firm. P.C. attorneys provide custom-drafted Employee Handbooks and forms to make the lives easier for company owners and Human Resources Managers. To learn how we may be able to assist you, schedule a complimentary 15-minute consultation with our attorneys here, or call (323) 450-9010. 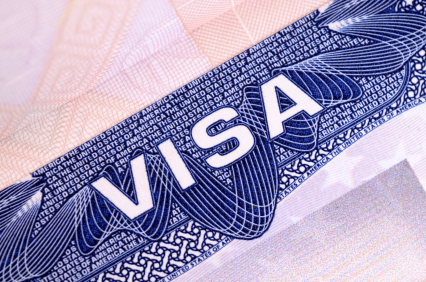 Apply for a Specialty Occupation H1-B Visa by April 1, 2014 to Avoid Waiting Another Year and a Half to Work in the U.S.